Your girlfriends have been texting you for weeks, you finally wrapped up that big project, and the SO has their own thing going on. It’s time for a girls night out, Maui style! No visit to Maui is complete without exploring the historic, lush grounds of Iao Valley State Park. Located centrally near Waikapu and Wailuku, this is the perfect day activity for all members of the family. With walking trails, plenty of places to relax and a wide variety of tropical flora and fauna, we're help to help you plan the perfect day around Iao Valley. Take a short drive to The Mill House to enjoy a rotating menu of lunch items with a scenic view of the mountains and Maui Tropical Plantation. Open daily for lunch from 11am to 3pm, we offer freshly roasted Maui grown coffee, local produce and creative dishes from Executive Chef Jeff Scheer. The view from our new outdoor seating area is a lovely preview of what you'll see deeper within the West Maui Mountains, and paired with current lunch specialties like the pork tacos with avocado salsa, pastrami sandwich with kimchi, and classic cheeseburger with aioli, it's guaranteed to be a great start to your adventure. Visitors are often stunned at the natural beauty surrounding the State Park. The steep, lush mountains, puffy clouds and bright green plant life are mesmerizing, and learning about the historical significance of the land only makes it that much more remarkable. Stop at the Kepaniwai Heritage Gardens (located on the left side of the street on the way to Iao Valley) for a scenic walk through garden displays celebrating Maui's diverse heritage, including Portuguese, Japanese, Chinese, Filipino, and Korean, and take a minute to appreciate the serenity of the area. Entrance to the park is free for residents and $5 per car for visitors, and we definitely recommend packing a few items to make the most of your visit! The 4,000 square foot park's most prominent landmark is Iao Needle, the 1,200 foot lookout point for Maui's Army during the famed 1790 Battle of Kepaniwai, when King Kamehameha landed on the shores of Maui in an effort to defeat and unify the Hawaiian Islands under his rule. Visitors are encouraged to climb the 130+ steps to get a better vantage point of this historic Hawaii landmark. Follow the paved pathways around the park to enjoy serene views of the garden and jungle landscape, as well as the healing waters of Iao Stream, which makes for a refreshing dip on a sweltering day in paradise. After you've had enough fun exploring the grounds of Iao Valley, head back through Wailuku Town to make a pit stop on Market Street, a cozy street of funky shops and friendly locals. Spruce up your record collection at Request Music, or browse local artwork while enjoying a caffeinated afternoon pick-me-up at the charming Wailuku Coffee Company. If you happen to be in town during the monthly Wailuku First Friday celebration, definitely stop by for live music entertainment and unique items from local vendors, and keep an eye on the historic Iao Theater calendar for upcoming local performances. For those interested in learning more about Hawaiian history, a visit to the conveniently-located Bailey House Museum is in order. Originally built in 1833, the Bailey House is now home to the largest collection of Hawaiian artifacts in Maui County, a surfboard and canoe that belonged to Duke Kahanamoku, an interesting museum store, and more that history buffs will truly appreciate. To & From Boutique, located conveniently near The Mill House next to Waikapu on 30, is one of our new favorite places to shop on Maui. Doubling as a full salon, make a quick stop in this adorable boutique to enjoy clothing items at exceptional prices, BodyHI locally-made soap bars, and fun jewelry. 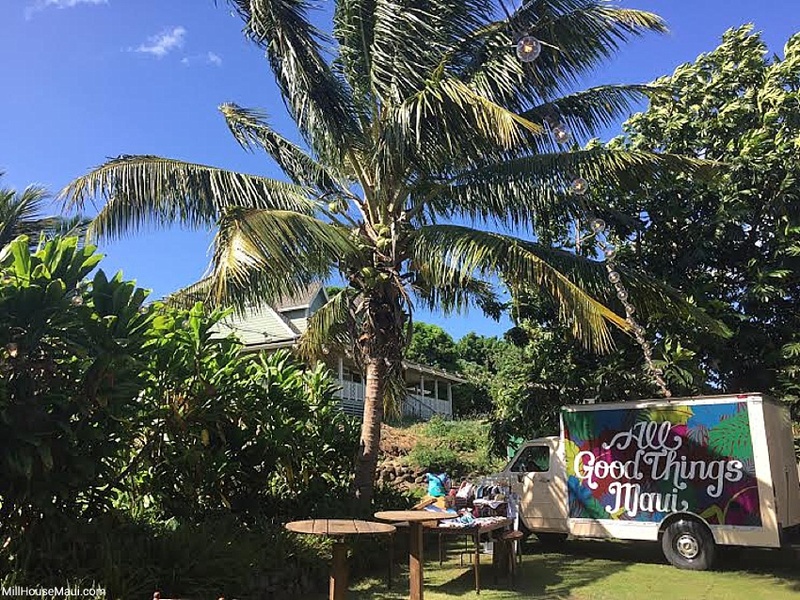 All Good Things Maui, if you're lucky enough to catch it on Wailuku First Friday or parked near the Maui Tropical Plantation Coconut Station, is a mobile boutique of island-inspired swimwear, jewelry, bags, hats, and more. After all that adventuring, you deserve a cocktail! The Mill House now offers daily happy hour from 3 to 5pm, including $5 beers like Kihei Kolsch, Stone IPA and Bikini Blonde, an assortment of wine by the glass, and a couple of our signature and classic cocktails. If you've worked up an appetite, we also offer happy hour pupus like the fried chicken with buttermilk dressing, beef kalbi ribs, scallop crudo and more. The regular dinner menu begins at 5pm for those of you who wish to stay for dinnertime, when the sunset views behind the mountains are truly breathtaking! Either way, be sure to come back to try our inventive Mill House cocktail menu. 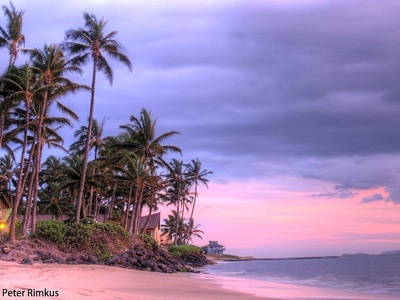 Only a 10 minute drive south of The Mill House, Sugar Beach offers one of the lengthiest, and most peaceful, walking areas for a beautiful Maui sunset. Parking along the side stretch of road near Ma'alaea Wharf can be limited, but North Kihei offers a few more opportunities for a convenient beach walk starting-point. While you may want to keep your slippahs on due to the surrounding kiawe trees (and their pesky thorns), you'll enjoy some of the best sunset views on the island, all with a nice ocean breeze to top it off. 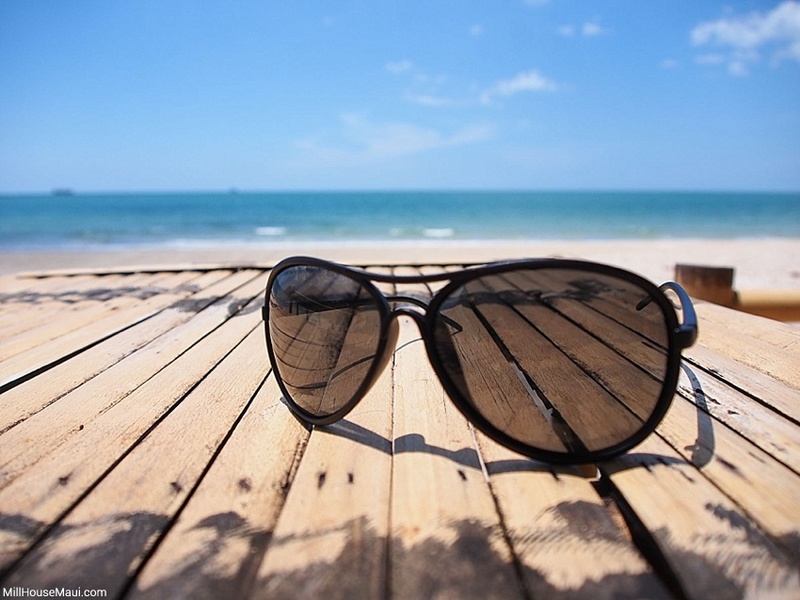 The perfect way to end your Iao adventure day! 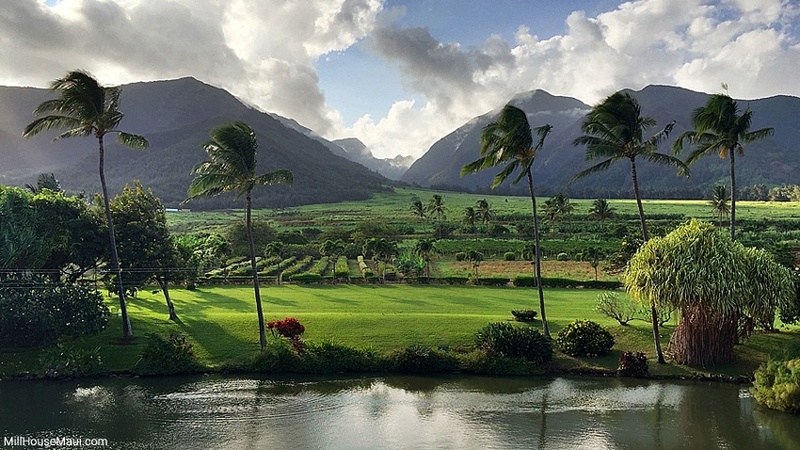 We hope you enjoyed our tips for planning the perfect day around Iao Valley! 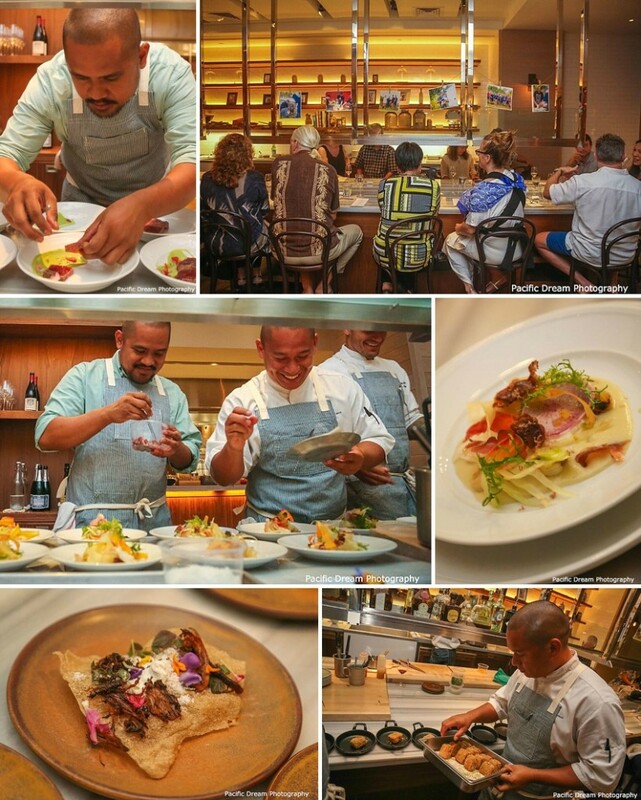 Mahalo for reading, and we hope to have you join us soon for a delicious lunch, happy hour, or dinner, Maui-style. what are some other great things to do around iao valley? comment below!